The 1999 action thriller, “Fight Club,” stars Hollywood heart-throb, Brad Pitt as the infamous, “Tyler Durden,” anarchist and minimalist with a streak of genius. One of the most memorable lines in the film occuminirs when the character played by Edward Norton, (who is never actually named in the movie, and only features as “the narrator” in the credits,) complains to Tyler about how the firs at his apartment ruined all of his possessions. In a world where what we drive, the phone we own, and the watch we wear determines our social status, minimalists are fighting to break these stereotypes. Over the last five years, the trend of “minimalist living,” has become more popular, but what does minimalist living mean? Being a minimalist means doing away with the unnecessary clutter that you don’t need in your life. Imagine if I told you that I would give you a one-way ticket to any destination of your choosing, with $10,000 in cash to spend. Would you take the opportunity? Of course, you would, that’s not surprising, but what does peak curiosity is – where would you go, what would you do with the money, and how long would you stay at your destination? Should you decide to visit Paris for a few weeks, and blow all of the money on shopping at the luxury clothing stores and jewelers in the city – then minimalist living is not a lifestyle choice for you. It’s not that there’s anything wrong with this choice, everyone deserves to live their best life any way they please – that’s the power of personal freedom and living in a democracy. However, minimalists take a different approach to this situation. If you’re the type of person that would pack their bikini, sunscreen, and shades, grab their passport, and head out the door – that’s a good start. Minimalists can pick up and go without a care in the world of who’s going to house-sit their home, feed their cat, and if their job will be there when they get back – if, they come back at all. It’s not like minimalists a devoid of responsibility, but they have a sense of freedom because they don’t tie themselves down to possessions or commitments that keep them from experiences. Minimalists aren’t broke beach bums traveling on a whim at others expense. In reality, many minimalists are successful online entrepreneurs that have managed to earn an independent income stream from working online. So, what does it take to be a minimalist? If the example shared above sounds like it fits your bill, then we can say that you align with this type of living. Let’s go through what you’ll need to make this lifestyle work for you. If we have to pick one mantra that would be the mission statement for all minimalists, it’s; “Choose experiences over possessions.” The people that practice this lifestyle embrace life, and all that the world has to offer. Minimalists focus on growing their mind, spirit, and body through how they choose to spend their time and money. Minimalist values include meeting new people, traveling to new countries, and experiencing different cultures. Money is merely a vehicle to achieve personal goals. Does this mean that every minimalist is a traveler? No, not at all. If you prefer to live a life free from possessions, and you own very little, you can consider yourself a minimalist. While people who read that may think that this sounds like someone poor, this is not the case. Being free from possessions and financial commitments doesn’t mean that you can’t have a high-paying job with plenty of savings and investments. Minimalism won’t stop you from building an online empire worth millions of dollars that fund your lifestyle either. Minimalism is a mindset, and a set of values that encompass embracing your life for you, not for the car you drive, the home you own, or the watch on your wrist. This statement may sound selfish, but that’s not the case. Minimalists are sons, daughters, mothers, and fathers as well. Creating, building, and maintaining relationships is one of the core founding values of the lifestyle. Are you starting to understand the concept? Minimalism means that you’re a global citizen, and every country, every state or province, and every city, county or town on planet earth is your home. With this in mind, why settle down? If I told you that you had a choice of living in any one of my 30-homes throughout the world, at a reasonable daily fee that’s less than your rent or mortgage payment – would you take the offer? The point is if you could live anywhere for as much time as you like, and your income would not change, would you still want to live where you are right now? Are you stuck in your present environment, but feel like you want to escape? On the flip side, some minimalists are okay to live where they are for the rest of their life. They merely choose to do things differently than most other homeowners. You’ll find most homeowner minimalists live in accommodations they can afford, with an emphasis on functionality over aesthetics or lot size. Most minimalists that choose this option, pay their mortgage as quickly as possible, and family tends to be the principal value for this group. They value sustainability, and many grow their food from seed to salad bowl. Some minimalists forgo the responsibility of a mortgage and possessions and instead choose to live in fully or partially furnished rental apartments. These minimalists are often “digital nomads,” that work online. One month they could be enjoying the sights and sounds of the sun, surf, and locals in Canggu, Bali – and the next they may be camping out in a lodge amidst the snowy peaks of the Andes mountains. Growing up as a teen or young adult in today’s modern, materialistic society warps our minds into believing consumerism and possessions are what matter in life. Should we crave status and recognition from our peers, as well as power and wealth – then our values most embrace money and possessions. While there’s nothing wrong with wanting money and possessions, it’s not the top-of-mind value for most minimalists. What you drive will be a good reflection of whether you are cut out to be a minimalist. If you have the latest model BMW in your double-garage, and you’re considering taking a lease on the new Mercedes model to fill the second spot, then minimalism is not for you. Take professional free surfer, Rob Machado, as an example. Throughout his career, Rob has acquired a small fortune from his legacy in the sport. He’s inspired thousands of youths across the globe to pick up a surfboard and stay healthy with surfing. You might run into Rob if you visit the beaches around his home town of Huntington Beach, California – where his foundation sponsors local cleanups and trash cans along the beachfront. If you’re fortunate, he might even gift you a surfboard – which he’ll fetch from the back of his trusty, banged up old van that’s always left open, so people can grab a board, and join Rob in the water. Are you starting to understand what minimalist living is all about? A look inside a minimalist’s wardrobe provides plenty of insight into their mindset. Some minimalists have huge closets, but if you ask them to pack for two weeks on vacation, then they know which outfits they need to bring with them. Minimalists enjoy clothing that’s diverse and practical, as well as stylish. These people value clothing that will last, and they don’t spend their money on shopping trips to buy outfits that they’ll only wear once or twice. Owning 50-pairs of Jimmy Choo shoes is not a top priority in their life. This wardrobe strategy doesn’t mean that minimalists can’t own lots of clothes; they merely have no lasting emotional attachment to them. Brands might be relevant to some minimalists, but on the majority, it’s not something that they spend their time or money thinking about in great detail. How these individuals handle their finances, is possibly the most significant factor in minimalism. Minimalists with a job often find that they save a higher percentage of their salaries than other people. 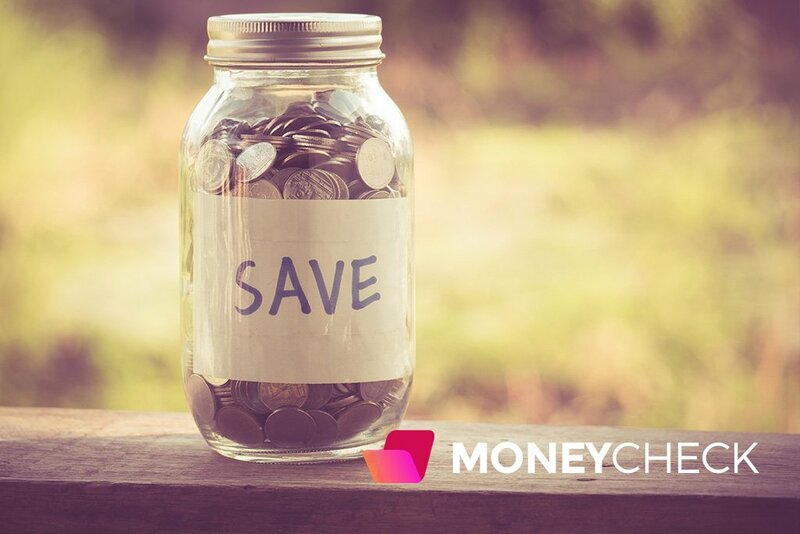 Instead of spending their money and increasing their expenses, minimalists will conserve their financial resources and reduce their living costs, often living a frugal lifestyle. The chances are you won’t find a minimalist with a mortgage on a home they can’t afford, and they don’t like buying outrageously expensive luxury automobiles either. Instead, they save their earnings and spend it on experiences, such as trips overseas to destinations they long to visit. However, a true minimalist does not confine their freedom to a paycheck or a job. Today’s minimalists are “digital nomads.” This term describes an individual that travels the world, making their living through earning an online income. Running e-commerce websites or blogs, managing social media accounts, or teaching English online, all allow digital nomads to make a living from any location that has an internet connection. It’s important to note the difference between possessions and assets in this section. Assets are financial instruments such as savings accounts, businesses, and property that earn you’re an income. Possessions cost you money, and they sit in your driveway, losing value with every mile you drive. Minimalists can have plenty of assets, but most have very few possessions. Does traveling the world while your online income streams pay for your trip sound like a dream? Well, you can make it a reality. All it takes is action to start yourself on a journey to a self-sustainable lifestyle where you live to your rules and cast aside the chains of modern materialism. Being a digital nomad allows you to pick up and move anywhere in the world at the drop of a hat. YouTube vloggers are an excellent example of people that built an online income traveling their country and the world while they share their experience with their subscribers. Being a digital nomad allows you to be free from financial worry. You have no boss telling you what to do, and no commitments other than the ones you make to yourself and your family. Being a digital nomad allows you to enjoy furnished accommodations anywhere in the world, without the need to ever buy a couch or TV. Get rid of the clutter that adds no value to your existence. Digital nomads focus on building relationships with people as they travel. You never know whom you’ll run into on your next trip, or what opportunities are around the next corner. We hope this guide gave you some insight into minimalist living, and the values embraced by this approach to life. Sure, we understand that it’s not for everyone, but that’s the beauty in the diversity of human culture. Some people need to own possessions and amass wealth or status in their community. We want to point out that there’s nothing wrong with this if it serves your values and meets your life goals. There’s plenty of people that are quite happy making loads of money, driving fancy sports cars and owning a large house with plenty of furnishings. However, if these sorts of things don’t make sense to you, and you’ve always found that you never rely hold on top any of your former possessions – like your baby shoes and the first tooth you ever lost, then you may have the roots of minimalism growing in your soul. Above all, minimalist’s values life experiences over possessions. It’s this defining element of their personality that separates them from the rest of society.